We regularly receive letters of thanks from parents of children who have been visited by Theodora Giggle Doctors. Juliet W. recently got in touch to tell us about how the Giggle Doctors helped her daughter Gemma. Why was Gemma first admitted to hospital and how did she feel? Gemma was first admitted to hospital due to a mass in her abdominal area. She was in a lot of pain and very anxious and frightened. When did Gemma first meet the Giggle Doctors? Gemma met the Giggle Doctors two days after her operation, where a large incision had been made across her lower tummy. She was attempting to get out of bed for the second time, a process which had been extremely stressful and traumatic the first time she had tried, due to the pain. Gemma was perched on the edge of the bed in a sitting position when the Giggle Doctors came into her ward. Until this point there had been lots of tears and Gemma had become a very quiet, sad and scared little girl. The Giggle Doctors started to engage with Gemma. They gave her a wand to make them disappear and then they hid behind the dividing curtains with their toes sticking out! For the first time in over a month our little girl giggled…and although you could see from her face that it wasn't very comfortable to giggle - she carried on giggling! For me it was a very magical moment!! After their visit Gemma got her fighting spirit and determination back; it had, up until that point, been completely lost. How did the visits change Gemma’s experience of hospital? The visits changed Gemma's hospital experience immensely! Now when Gemma talks about hospital she doesn't focus on the scary parts like the scans, operations and procedures, she always talks about the Giggle Doctors and how they made her giggle. Gemma still has the wand and loves to show people how she made them disappear (“but they were really behind the curtain” she says and giggles)!!! My favourite moment was when the Giggle Doctors made me laugh. It would be great for all children in hospital to meet the Giggle Doctors so they can laugh just like me. 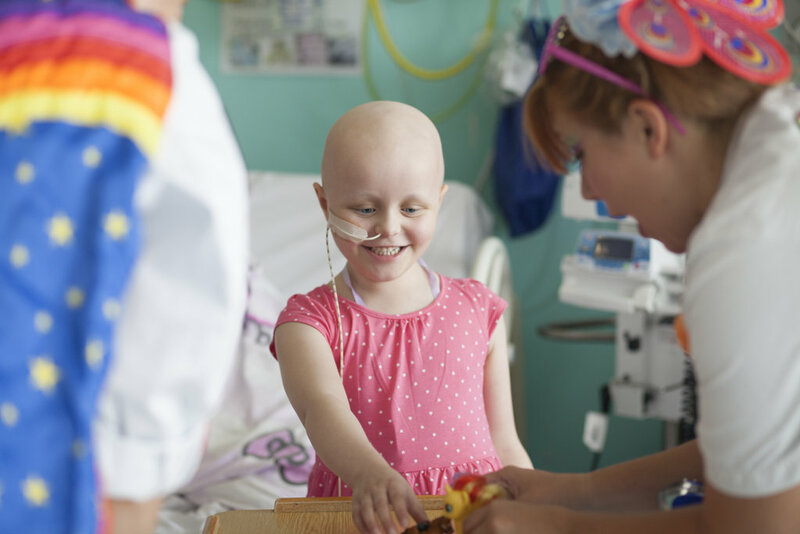 Thank you so much for helping to bring fun and laughter to so many children like Gemma. We’re so grateful for your support. We recently gained a new patron – award winning comedienne and ventriloquist, Nina Conti. We’re continuing to receive lots of positive feedback from the hospitals, hospices and specialist care centres we work with. 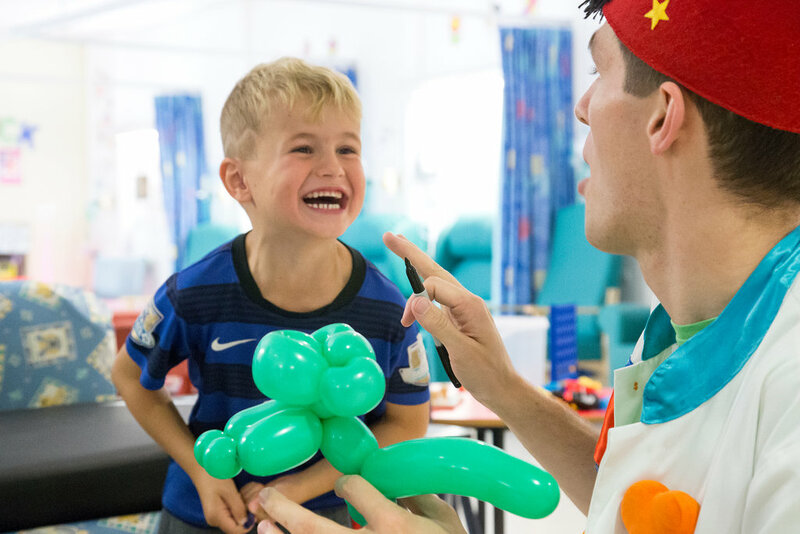 One day we hope to be able to bring magical Giggle Doctor moments to all children who need them, and with your help we’re inching ever closer to that dream. You may have noticed we have now changed our name from Theodora Children’s Trust to Theodora Children’s Charity. We decided to rebrand in order to make our purpose clearer. In the past, the charity name has confused some people. We wanted to make it clear that we are a charity, rather than a trust that issues grants – which has never been the case. “I just wanted to say a big thank you to the Giggle Doctors for cheering my baby girl up at LGI on Monday. Marianne is 9 months old and is usually a bright & breezy baby however due to a nasty virus it was sad for us to see her lethargic, working hard to breathe and very quiet. When the Giggle Doctors visited the ward we had just found out that the doctors wanted us to stay in hospital overnight so I had started to worry about how serious things might be. Even though Marianne wasn’t very ‘with it’, I thought at least she would enjoy watching the Giggle Doctors entertaining the other children on the ward. Dr Bungee came up to us & started to show Marianne some tricks with his hat & she watched him, intrigued. A few tricks later & she burst out laughing! It was such a surprise as I didn’t even think she had the energy to laugh. But this was just the start, as Dr Bungee carried on Marianne laughed more and more and by the time he made the bubbles squeak as he popped them Marianne was full on belly-laughing. It was such a gorgeous noise & its contagious effect had the whole room giggling along. It was such a relief for me to see a glimpse of my little girl & to know that for this brief moment she was having fun and that her body was feeling that lovely glow of having a good laugh.